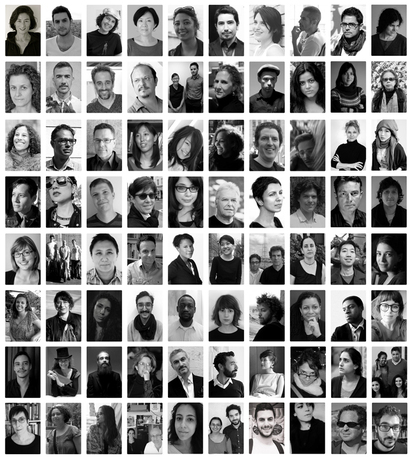 Since January 2014, The Funambulist Podcast has released more than eighty interdisciplinary conversations with thinkers and creators, recorded from twenty-eight cities in North and Latin Americas, Europe, the Middle East, and Japan. These conversations attempt to provide an alternative to the universitarian paradigm. Although the disciplinary backgrounds of the podcast's guests are extremely varied (historians, artists, architects, anthropologists, feminists, political activists, etc. ), the editorial line of the program always mobilizes ideas around the politics of space and bodies. Léopold Lambert is an architect, writer, and editor of the blog The Funambulist, which since 2007, has considered architecture as a discipline that organizes bodies in space and attempted to articulate questions around this definition. Throughout 2014 and 2015, he has been recording interviews with thinkers/creators each week and publishing them on The Funambulist’s podcast platform, Archipelago. He is the author of Weaponized Architecture: The Impossibility of Innocence (dpr-barcelona, 2012), which examines the inherent characteristics that make architecture a violent political instrument, particularly in occupied Palestine. His next book, Topie Impitoyable: The Corporeal Politics of the Cloth, the Wall, and the Street (Punctum Books, 2015) constitutes a sequel to this first book, with particular care paid to the notion of the body.